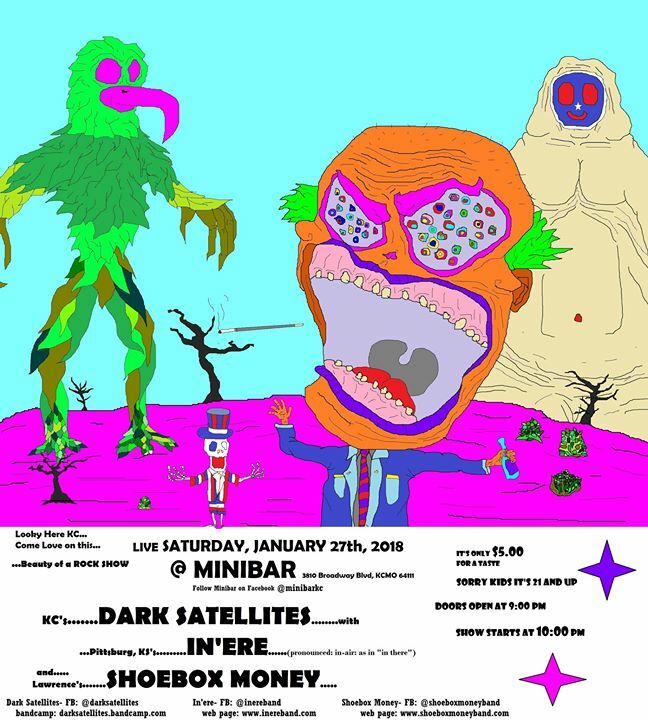 Dark Satellites in Lincoln 12/29! 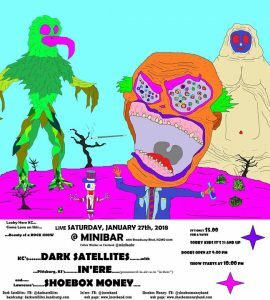 3 March 2018, Saturday – Dark Satellites at minibar, Kansas City MO, with The Show Is The Rainbow and AKAFDM. $5, 21+, doors at 9 show at 10. 8 March 2018, Thursday – Dark Satellites at Replay Lounge, Lawrence KS, with Hyperbor and Hidden Planets. $3, show at 10. We’ll be emailing about just the big stuff, new releases and such.